Please! People seriously shouldn't be making fun of African Americans, I mean growing up one of my best friends was black...until my dad sold him. I miss Tyrone. Too Dark? @fettman1138, I remember a joke told on here that I still find horribly hilarious, I was waking home front the store and I saw a black guy riding a bike, I quickly ran home to see if mine was still there, I ran to my backyard and opened my shed, it was still there chained up asking for food. @Anonymous Reaper, "hi, welcome to Chili's." 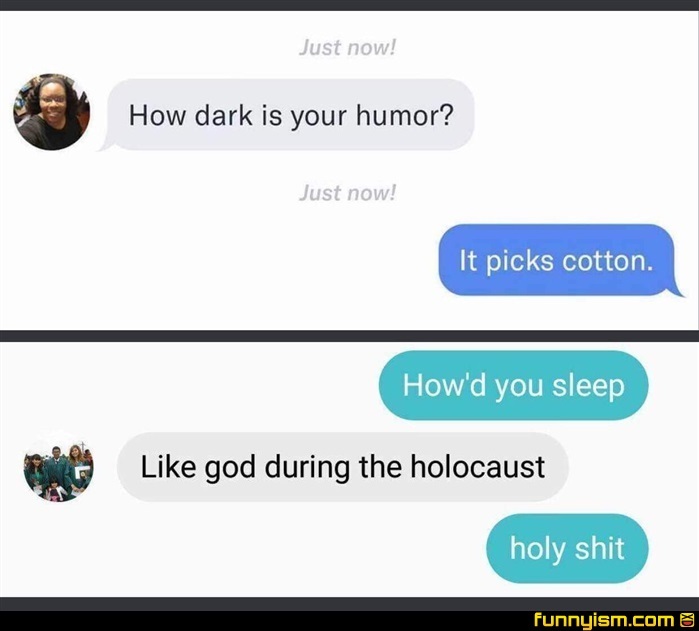 My humor is darker then the Hellen Keller visiting Anne frank while hitler was downstairs.